Common Ringed Plover, Budai, September 2nd. This photo shows the extensive breast band, bright orange legs and bill base, and distinctive head profile. 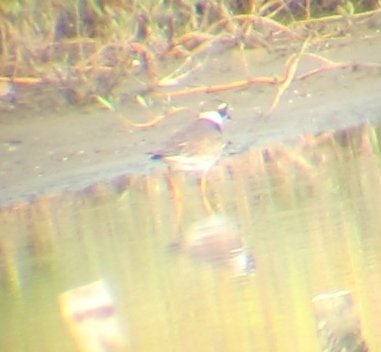 Common Ringed Plover, Budai, September 2nd. In this photo, the extensive white forehead is obvious. Common Ringed Plover, Budai, September 2nd. In this shot, the wide white neck collar and broad white supercilium can be seen. 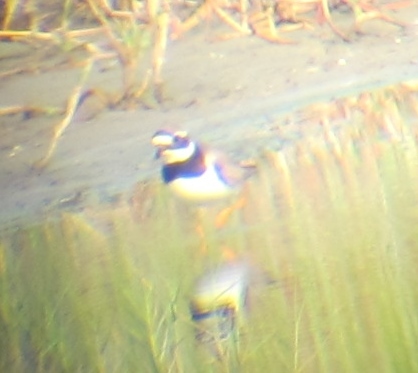 Today’s visit to Budai turned up an unexpected rarity in the form of an adult Common Ringed Plover. According to Mark Brazil’s “Birds of East Asia”, this is an accidental visitor to Taiwan which normally migrates well to the west of the region. The bird was at the pool to the north of the Km 134.5 marker on Highway 17. Otherwise, it was a standard autumn day at Budai. The pools on the other side of the road to the Common Ringed Plover’s favorite hangout were again full of birds, including a high count of 113 Eastern Black-tailed Godwits, 10 Avocets, and a minimum of 50 White-winged Terns among the many Whiskered and Little Terns. Also in the area, the two Greater Flamingoes were seen again alongside Expressway 61 at Km 276. Among 20 wader species seen at Budai and Beimen, 3 Sharp-tailed Sandpipers were perhaps noteworthy. Long-toed Stints, Marsh Sandpipers and Pacific Golden Plovers were particularly numerous today. The presence of several Brown Shrikes and Eastern Yellow Wagtails was a sign that passerine migration is getting underway. Finally, I took a short jaunt further north to Aogu where the water levels are still too high for waders, and there was little to be seen. 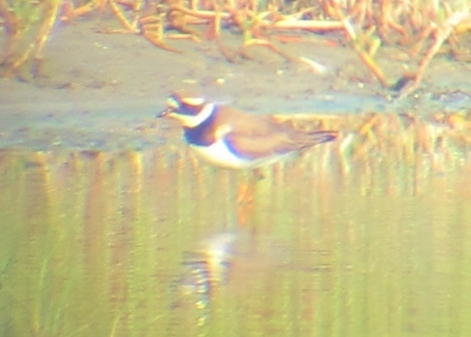 Taiwan tick: Common Ringed Plover (total 244). 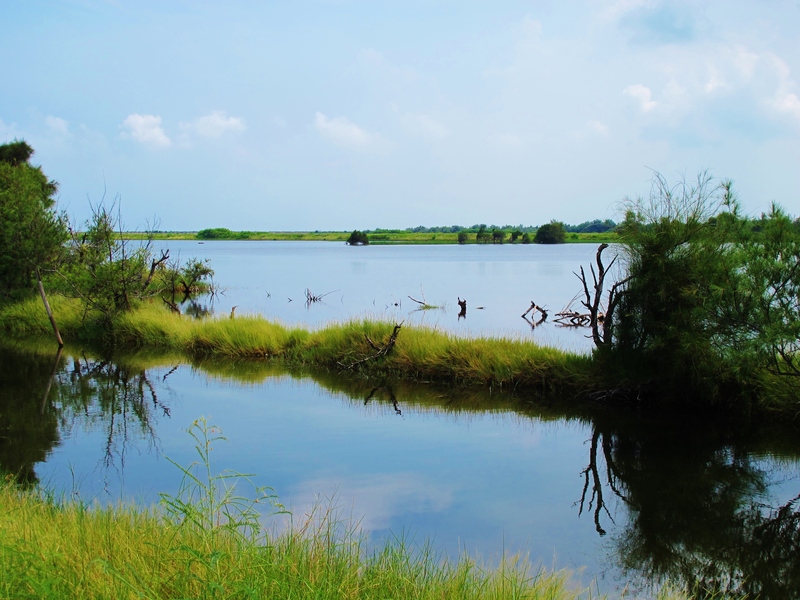 Aogu Wetlands: a beautiful spot, but somewhat lacking in birds today.